This article will discuss the crucial role of the language teacher and their beliefs in realizing the potential that rapidly evolving technology-mediated tools offer second/additional language learning. Factors contributing to teacher resistance will be reviewed including the unique pedagogical demands of continually evolving technology-mediated communication tools and learning environments. Research identifying the nature of teacher beliefs will be discussed along with a proposed theoretical framework defining the interconnected factors contributing to teacher beliefs and behaviour towards educational technology. Recommendations for effective approaches to technology-directed language teacher development will be summarized along with recommendations on further research required. As this educator’s quote illustrates, teachers play a key role in the success or failure of educational innovation and change. Although two decades old, this quote still holds an essential truth in the integration of educational technology. It has been said that a teacher’s attitudes towards any educational innovation are the most critical factors in determining the success of that innovation in an educational environment (Coryell & Chlup, 2007; Cuban, 2001; Richards, Gallo, & Renandya, 2001). It is generally accepted that teachers’ belief systems significantly affect their classroom practice (Cuban, 1986; Fullan & Hargreaves, 1992; Johnson, 2009). Teachers and their beliefs dictate how students are taught, what they learn and the success or failure of any educational approach (Baran, Correia & Thompson, 2011; Warschauer, 2005). These belief systems guide teachers in their classroom behaviour, and act as support when change and innovation threaten existing practices. In his seminal survey of 104 international practitioners using computer-assisted language learning (CALL), Levy (1999) concluded that the teacher was the most important factor in the success of CALL. In recent research examining the feasibility of e-learning in ESL programs in Canada, findings showed that teachers’ beliefs about CALL both facilitated, hindered and/or completely prevented technology use in their classes (Lawrence, Haque & King, 2013). In today’s world where language use is often technology-mediated, the pressure to integrate technology-mediated approaches into language teaching has never been stronger. The success of technology integration hinges to a large degree on a teacher’s beliefs and attitudes. 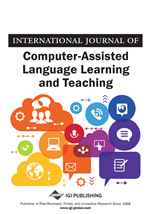 This paper will explore the interconnectedness of teacher beliefs, behaviour and the integration of educational technology into second language (L2) teaching/learning environments. Factors prompting teacher resistance to the potential benefits of computer-based tools will be outlined along with research examining the multiple factors influencing teacher beliefs and behaviours towards CALL. This will be followed by a conceptual framework illustrating the interconnected factors shaping L2 teacher beliefs and actions using technology-mediated language learning. Recommendations for structuring technology learning in second language teacher development will conclude the paper along with a call for further research to enhance teacher development approaches using educational technology.